In the decade since the attacks of Sept. 11, 2001, airport security has changed in large and sometimes unpopular ways. In an interview with News Bureau physical sciences editor Liz Ahlberg, computer science professor and aviation security expert Sheldon H. Jacobson discusses the impact of these changes and considerations for the future of air travel safety. With the passing of the 10th anniversary of Sept. 11, how has airport security changed? In no other facet of society have the events of that day had a more enduring effect than on aviation security operations. There have been tremendous changes in how we execute and operate the aviation security system at the commercial airports around the United States. With the creation of the Transportation Security Administration came technologies such as explosive detection systems, trace devices, puffers, and advanced imaging technologies (full-body scanners), along with policies requiring passengers to remove their shoes and carry liquids and gels in “3-1-1 bags,” all designed to secure the air system. With all these changes and the resources invested, is the air system safer today than it was on September 11, 2001? In absolute terms the answer is yes, we are safer from all the threats we know about. However, if we look at the trajectory of where aviation security is heading and the potential threats that could come onto the horizon, in many ways aviation security is at its riskiest and weakest point ever. Every action and every layer of aviation security that has been added to the system has been based on a reaction to a previous threat. The 2001 shoe-bomber incident led to the shoe-screening policy, while the 3-1-1 bag policy was instituted after the 2006 plot to blow up planes bound for the United States with liquid explosives. More recently, the 2009 Christmas Day bomber incident led to the deployment of advanced imaging technologies and pat-downs for all passengers. In all these cases, the policy changes followed the terrorist incident. This raises the question, are there other threats lurking on the horizon that the aviation security system is ill-prepared to defend against? It is important that we protect ourselves from what we know, but the difficulty is and the challenge is being able to protect ourselves against what we do not know. As long as we continue to focus our attention on screening for threat objects or items and not really focus on the real threat, which are the people who want to cause danger and problems with the system, then in fact we are very vulnerable. What should passengers be concerned about? Passengers should not be concerned with the security breaches or the kinds of screens they are being subjected to, but be much more concerned with what I call the security holes – places in the system where the layers do not cover. People who are intent on causing harm to the air system are constantly testing the system, and with enough trial they will find these holes. The events of Sept. 11 were not a breach in aviation security; they were based on the security policies in place at that time and the problems with them. If we perpetuate that kind of activity and thinking, then we will continue to have problems. The focus has to be much more on allocating and using our scarce security resources in the optimal way so that travelers, when they get on an airplane, are going to feel more secure and more comfortable and know that their interests are being protected. What about Advanced Imaging Technologies, or full-body scanners as they are known? Is such invasive screening necessary? Advanced imaging technologies provide their own unique set of challenges, given how they are being used. They do have a certain role because they are able to detect items that metal detectors cannot. The most significant value that they provide is their deterrence effect. However, current throughput rates for such devices are inadequate to handle all passengers, particularly at high volume airports during peak travel times. This means that not all passengers can be screened using such technologies. As a result, the decision to screen someone or not is tantamount to flipping a coin, based on whether the advanced imaging technology device is available when a passenger reaches the checkpoint screening location. If we’re going to use full-body scanners, we have to use them intelligently, and using them for primary screening and attempting to screen everybody as much as the volume will allow has actually made the system less secure. But, don’t all passengers present some level of risk to the air systems and require comparable levels of screening? No. We can actually look at research and discern the fact that a certain percentage of travelers and passengers just do not pose any threat to the system. We have spent billions of dollars since 9/11, with a significant portion of that being spent to screen frequent business travelers, grandmothers, and other passengers who pose no threat to the system. And if we use security resources on them, we’re basically diverting away from the people who really require greater. The way our research looks at it is that we want to ‘right-size’ security. We don’t want to under-screen people, we don’t want to over-screen people. Right now, we’re over-screening a tremendous number of people and we’re under-screening a small number of people. If we right-size screen, we can actually end up with a more secure system. How can we more efficiently allocate our security resources? Is there a solution to the challenges facing the system? Employing subtle changes in today’s security strategies can make the entire air system more secure and convenient for the majority of travelers, and more onerous and challenging for those intent on causing harm to the air system. The one-size-fits all approach to passenger and baggage screening must be replaced with a system that directs technologies and procedures more appropriately. If we treat all the passengers the same, ultimately we’re going to get to get a less-secure system. We don’t want to search so much for the people who will pose a threat to the system, because that’s like finding a needle in a haystack. What we really want to do is identify the relatively large group of people who pose no threat to the system – that could represent 60 to 70 percent of all travelers. If we are able to break that group apart and subject them to a standard level of security, and use the available resources that they free up to screen the remaining 30 to 40 percent using these advanced technologies and procedures, then we will actually have a much more secure system. The cost savings of such a strategic shift would be enormous, without sacrificing security. Note: A complete discussion of these issues can be found in an upcoming issue of the Journal of Transportation Security. Aviation security expert Sheldon Jacobson talks about airport security in post-Sept. 11th America in videos for the National Science Foundation and the University of Illinois. 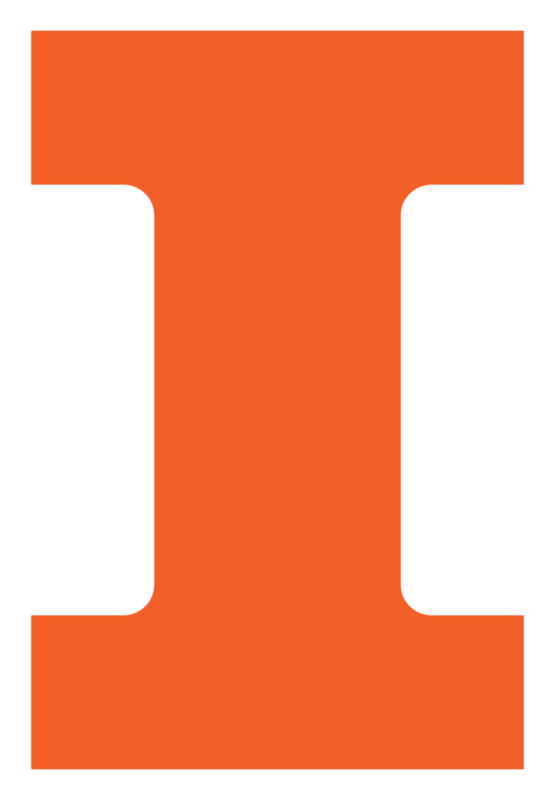 Contact: Sheldon H. Jacobson, Department of Computer Science, shj [at] illinois [dot] edu, 217/244-7275. Writer/Interviewer: Liz Ahlberg, physical sciences editor, U of I News Bureau, eahlberg [at] illinois [dot] edu, 217/244-1073.